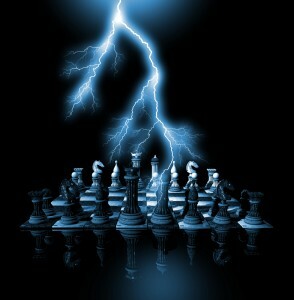 Strategi- "Supreme excellence consists in breaking the enemy's resistance without fighting." The best investors talk about being keenly aware of what they know and don’t know. Mediocre or dishonest investors pretend they know. Bad investors don’t even know they don’t know. We are a research organization… We hire people to make mathematical models of the markets in which we invest… We look for people capable of doing good science, on the research side, or they are excellent computer scientists in architecting good programs. Everything’s tested in historical markets. The past is a pretty good predictor of the future. It’s not perfect. But human beings drive markets, and human beings don’t change their stripes overnight. So to the extent that one can understand the past, there’s a good likelihood you’ll have some insight into the future. I learned to be especially wary about data mining – to not go looking for what would have worked in the past, which will lead me to have an incorrect perspective. Having a sound fundamental basis for making a trade, and an excellent perspective concerning what to expect from that trade, are the building blocks that have to be combined into a strategy. A simple, albeit less than optimal, investment strategy that is easily followed trumps one that will abandoned at the first sign of under-performance. I am not the best fighter, but I can achieve the impossible.